India’s infrastructure lacks the capacity needed for an expanding economy and increasing consumption. 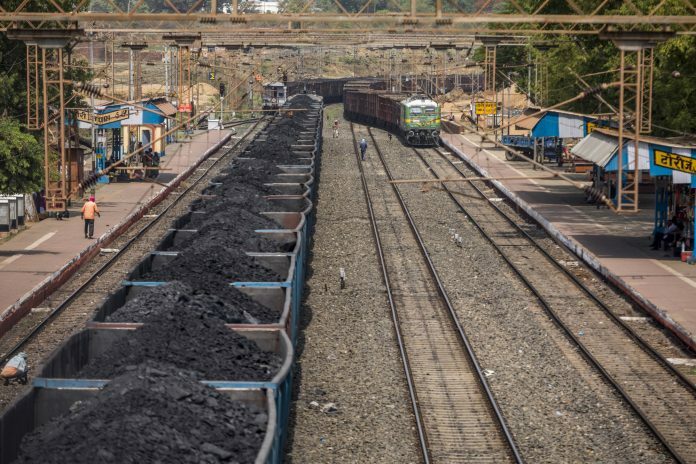 India’s harbours have become clogged up with coal as imports to power an expanding economy outpace railroad capacity to transfer the fuel to consumers. Stockpiles rose by 15 per cent in seven weeks to 19.2 million metric tons, according to data from 18 ports compiled by CoalMint in a July 30 report. Inventory at Vishakhapatnam Port Trust in the eastern state of Andhra Pradesh is near the limit because a rail-car shortage is slowing distribution, Deputy Chairman PL Haranadh said in a phone interview. That’s “pretty much all we can hold,” Haranadh said. His port gets about 10 of the wagon clusters known as rakes each day to send coal to consumers, against a requirement of 16. A rake comprises about 60 open-top wagons with a total capacity of some 4,000 tons. Bottlenecks in coal supply are hurting utilities, aluminium smelters and steel mills. Some 8.7 gigawatts of generation capacity was shut as of the end of June due to coal shortages, according to Bloomberg calculations based on Central Electricity Authority data. India has 197 gigawatts of coal-fired capacity. At Paradip Port Trust in Odisha state, nearly 4 million tons of cargo — including 3 million tons of coal — has piled up, almost double the storage capacity, said a port official, who asked not be identified discussing a sensitive topic. The logjam has forced Paradip to divert cargoes to other ports, even though most have similar bottlenecks, the official said. The port, which needs an additional five rakes a day, is encouraging coal customers to transport coal by road. That’s more cumbersome, costly and damaging to the environment. A blockage at Gangavaram port, close to Vishakhapatnam port, has delayed transportation of 120,000 tons of coal to electricity producer Jindal Power Ltd Nearly half is still lying at the port three months after the cargo landed, Chief Executive Officer Bharat Rohra said. Power stations designed to burn domestic coal were forced to increase imports for blending by 15 per cent during the quarter ended June 30, as local output failed to keep pace with surging demand. Monopoly miner Coal India Ltd, responsible for more than 80 per cent of the nation’s coal output, has missed production and shipment targets every year since at least 2013. Last month, India’s power minister RK Singh warned of continuing coal shortages because of increasing demand for electricity and advised states to import the fuel if necessary.